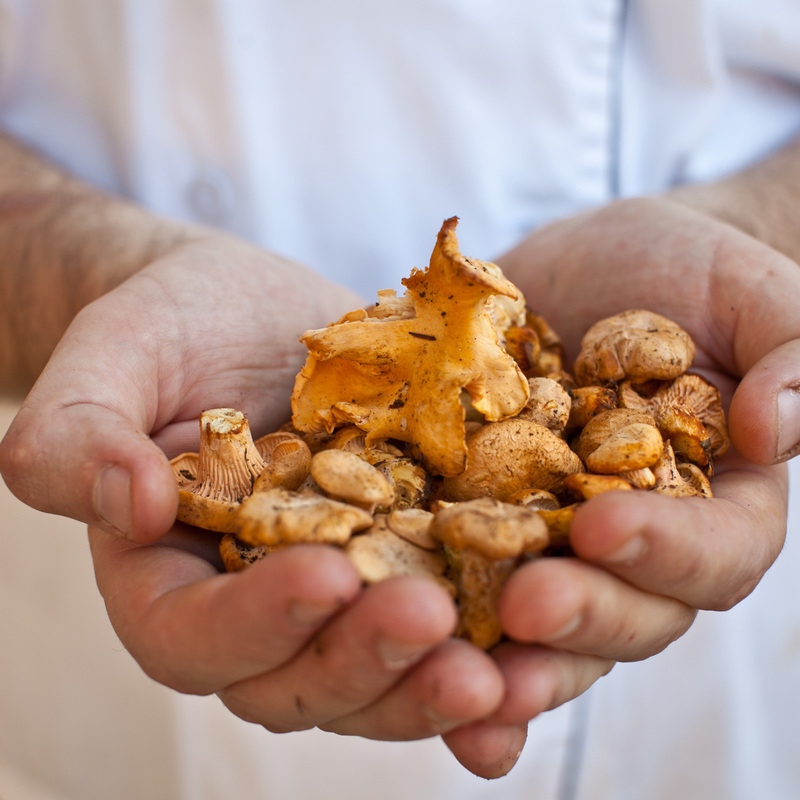 The 2013 Mushroom Season has provided the Joel Palmer House restaurant with a bumper crop of wild-harvested mushrooms. Chef Christopher is excited to share the bounty of the Willamette Valley with guests in a variety of new and traditional dishes. Joel Palmer House Restaurant Welcomes Bumper Mushroom Harvest. My kitchen team is getting lots of overtime this week cleaning, trimming, slicing, and drying mushrooms. With this year's humidity and rainfall, Chef Czarnecki has seen mushroom harvests like never before. "My kitchen team is getting lots of overtime this week cleaning, trimming, slicing, and drying mushrooms." In addition to an intimate dining atmosphere in a historic home and a lush culinary garden that provides fresh ingredients and produce, the Joel Palmer House distinguishes itself with its distinctive, mushroom-centric menu. The Joel Palmer House restaurant, led by fourth-generation Chef/Owner Christopher Czarnecki, has been specializing in wild mushrooms since 1997. Chef Christopher continues to build on over 100 years of Czarnecki Family experience hunting and cooking wild mushrooms and truffles. Since Jack Czarnecki, Retired Chef/Owner, handed over day-to-day operations he has spent his time foraging for the mushrooms and truffles used at the Joel Palmer House. 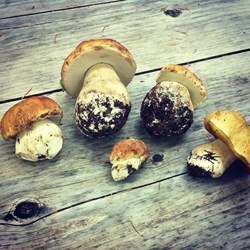 Chef Christopher notes, “My father has always described himself as a mushroom hunter who likes to cook. Now he doesn't have to be in the kitchen anymore and he's happier than ever!" Chef Christopher explains: "We have a small army of friends and family that go out into the woods and forage mushrooms for us. 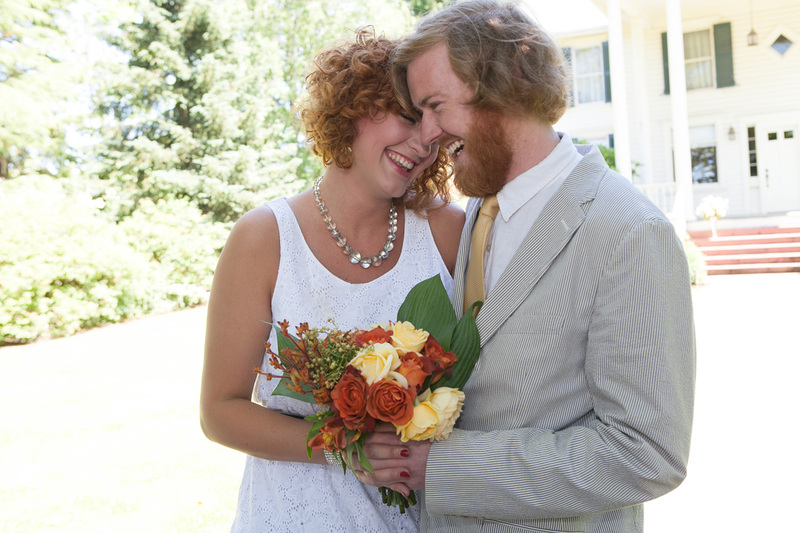 Their years of experience, the great weather, and a bit of luck have contributed to a bumper crop this year. We love it! The chanterelles and porcini have been particularly abundant, and with any luck, the upcoming Matsutake season will be great as well." The bountiful mushroom harvest will soon find a home in both new and traditional dishes on Chef Christopher's menu, most especially on the seasonally-focused Tasting Menus. The Joel Palmer House’s Tasting Menus feature a selection of the best that the restaurant and the Chef have to offer at the time. For example, the Mushroom Madness Tasting Menu takes guests on a culinary adventure through six courses that may include Wild Mushroom Soup, Carrot Tartar, and Angel Hair Pasta with Lobster Mushrooms, depending on the season. Oregon's wild mushrooms will make their way into a variety of seasonal dishes, even dessert. 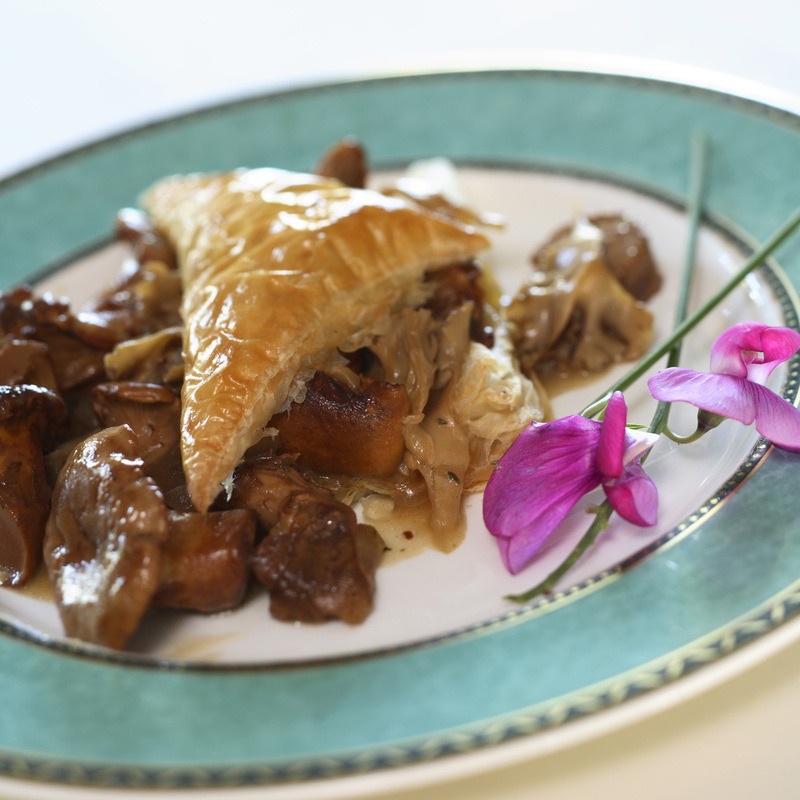 The Joel Palmer House’s innovative and exciting menu features choice local produce, wild mushrooms and Oregon truffles. Chef Christopher Czarnecki and family strive to incorporate seasonal ingredients and use many locally grown vegetables, including many from their own on-site garden. Chef Christopher Czarnecki has created a tantalizing, creative menu that marries perfectly with the world renowned Pinot Noir of Oregon’s Willamette Valley. Of note, the Joel Palmer House ranks as one of Oregon's finest historic homes and is on the National Register of Historic Places and the Oregon Historic Register. Built in 1857, the house is Dayton's oldest standing structure. When weather permits, guests can enjoy their dinner on our outdoor patio, soaking in the last rays of sunshine in the heart of Oregon Wine Country. Fresh Oregon Truffleswww.oregontruffleoil.com Wild Mushrooms in Puff Pastry@JoelPalmerHouse Fresh ChanterellesThe Joel Palmer House Restaurant Celebrate Your Wedding at the Joel Palmer HousePrivate, Romantic Weddings in the Heart of Oregon Wine Country The Joel Palmer HouseNew Joel Palmer House logo reflects four generations of history.